2. In a bowl, sift together maida, baking powder and cardamom powder. 3. In a separate bowl, beat together margarine and sugar till light and fluffy. 4. Combine Flour mixture (little at a time) with Butter Mixture to form a soft dough. 5. Make small balls, line up on a cookie sheet lightly greased and bake for 15 to 20 minutes. 6. Remove when the top of the Naan khatai slightly changes colour to light brown. 7. 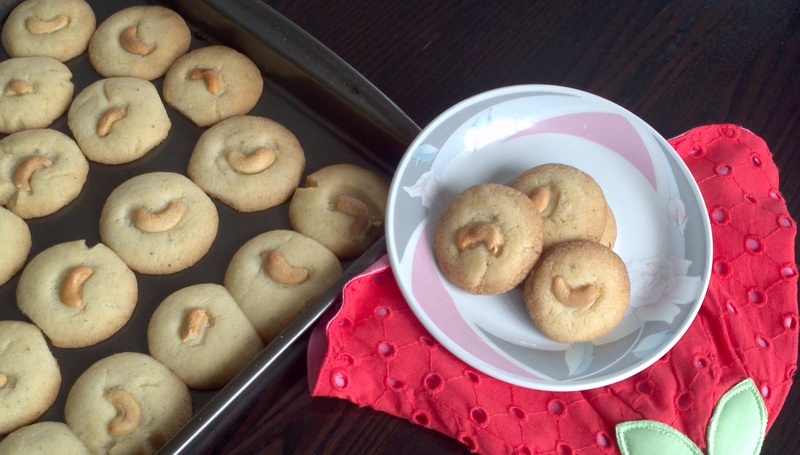 Let the Nan Khatai cool completely before serving.